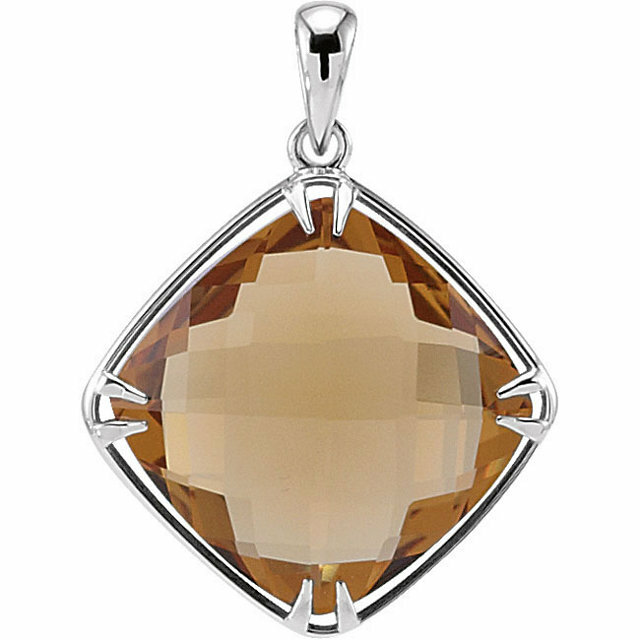 Sometimes a whisper can say more�and say it more intriguingly�than shouting. 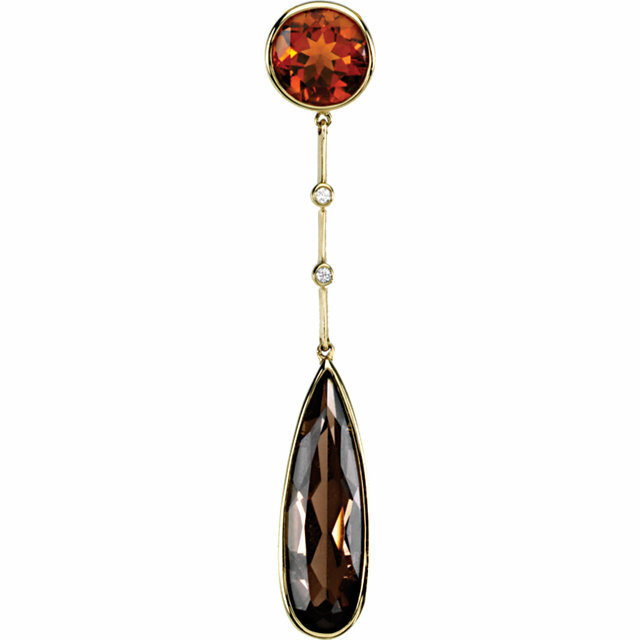 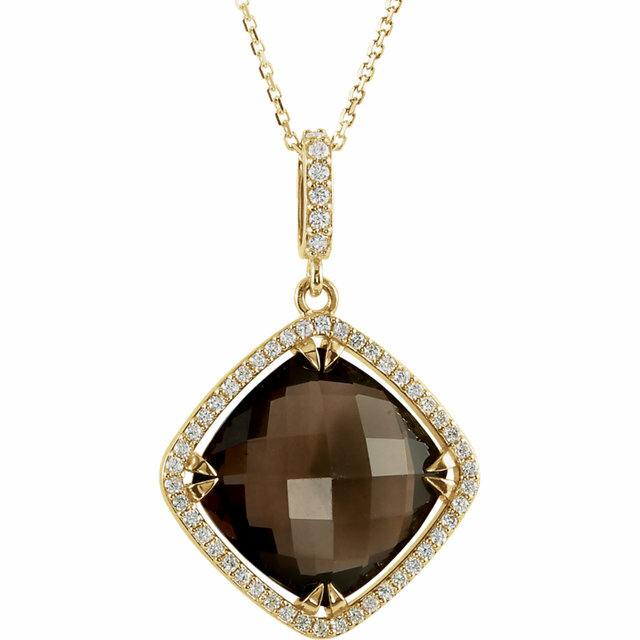 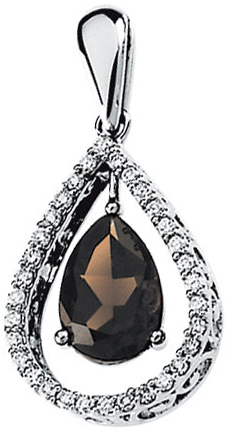 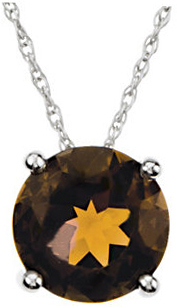 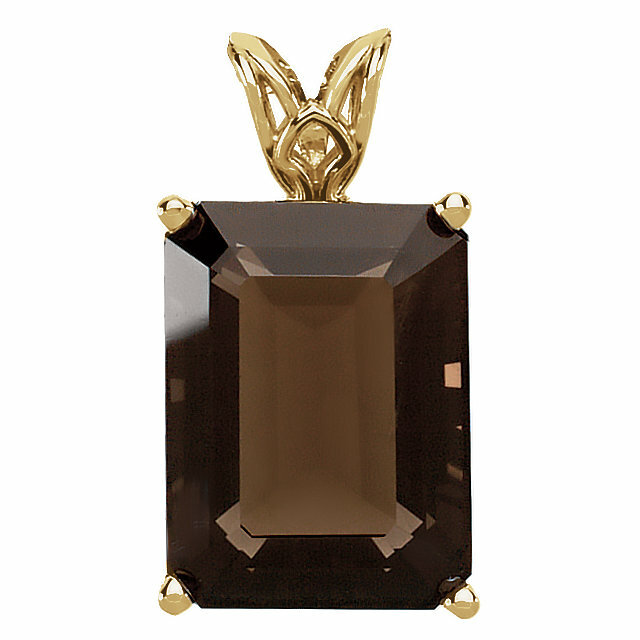 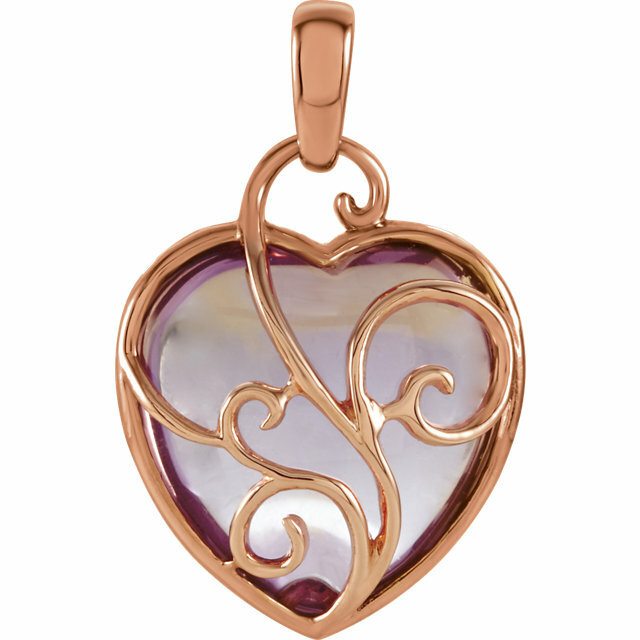 This is the appeal of lustrous Smoky Quartz. 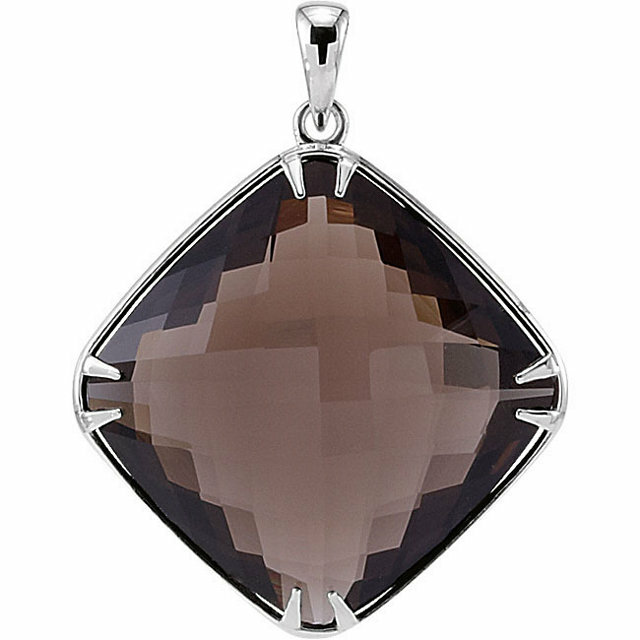 With its voluptuous color and understated elegance, this sophisticated gemstone makes a powerful statement, The Victorians, who understood the rich expressiveness of restraint, used Smokey Quartz in jewelry. 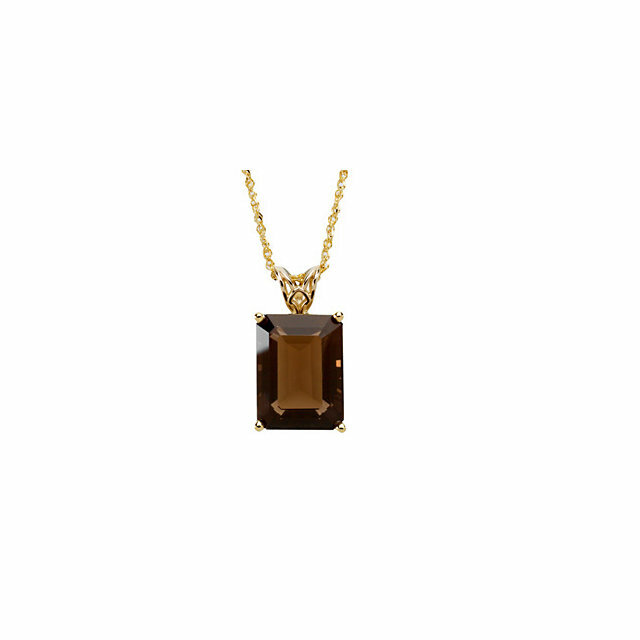 Today, its delicious color makes it a perfect accessory. 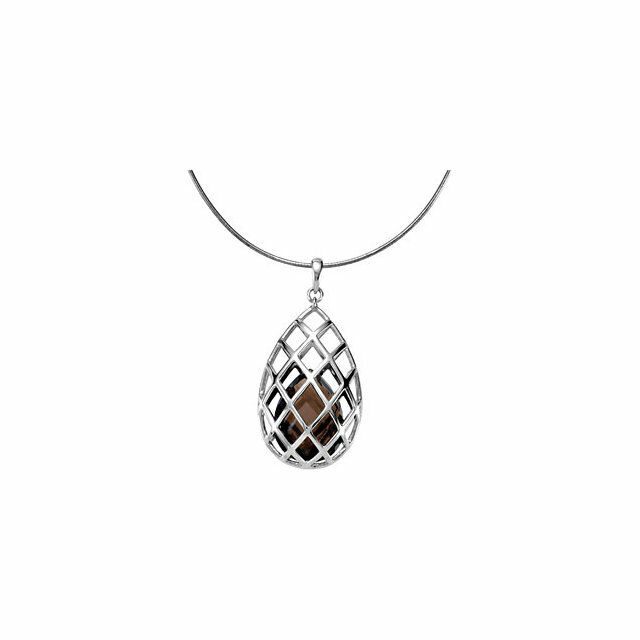 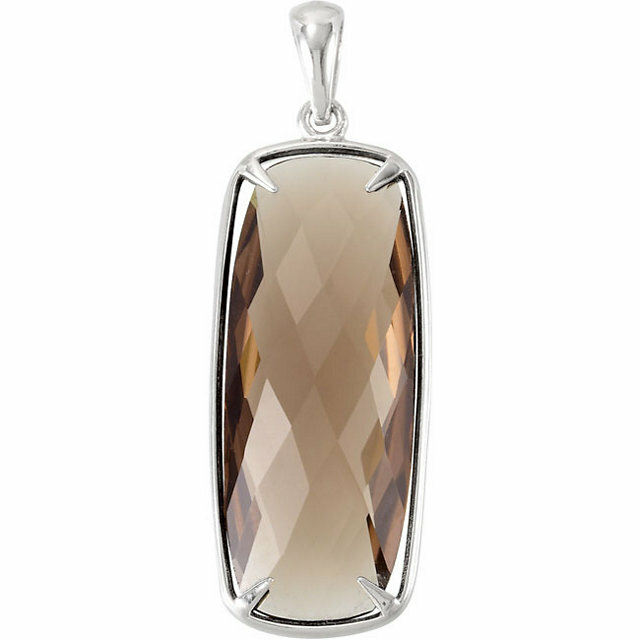 Robust and grounded, the brown hue of Smoky Quartz offsets nature inspired designs. 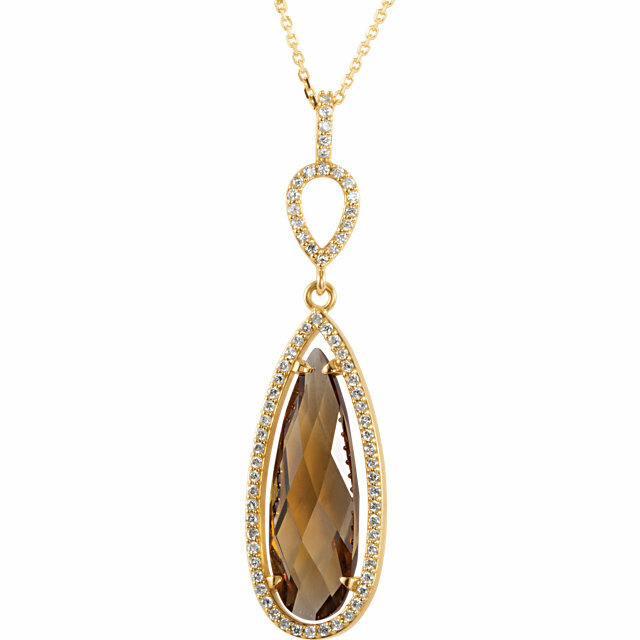 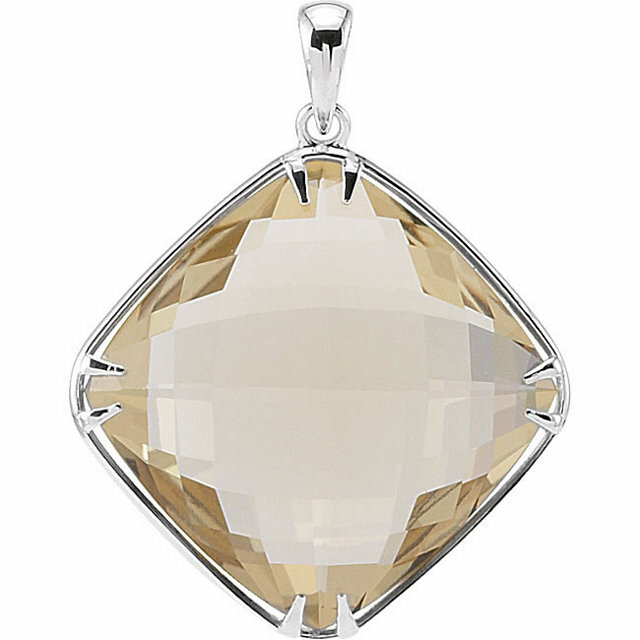 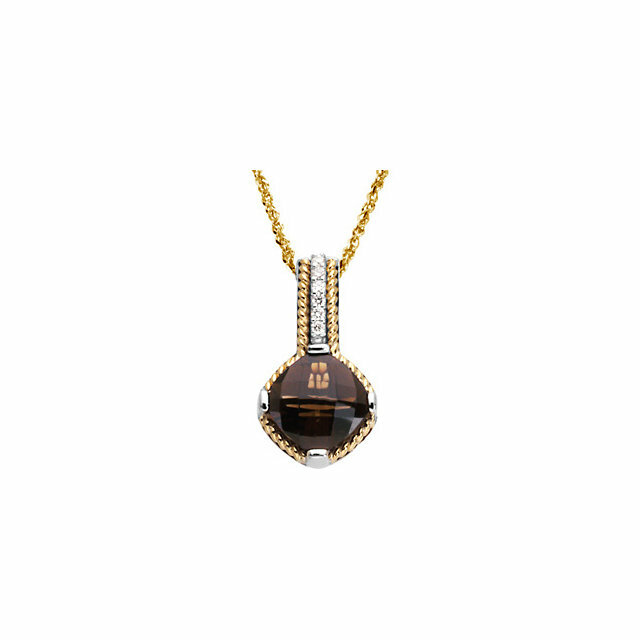 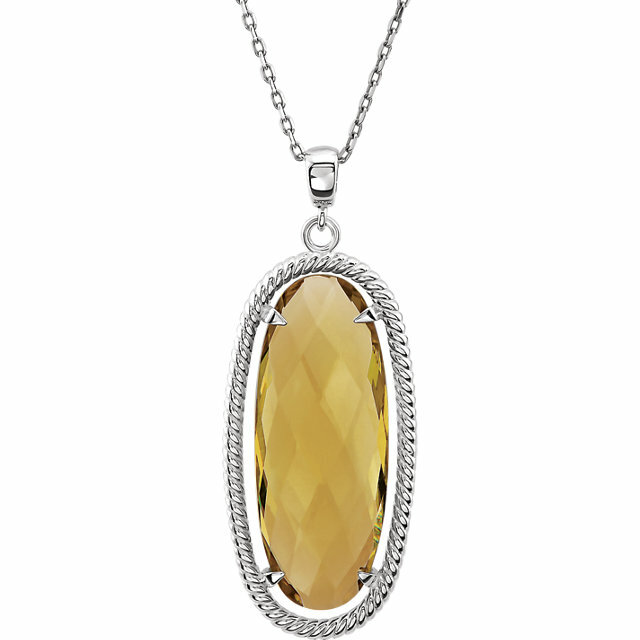 In our gorgeous settings, where diamonds, white gold and yellow gold frame the lustrous Quartz, Smoky Quartz is taken to the next level of fashion and elegance. 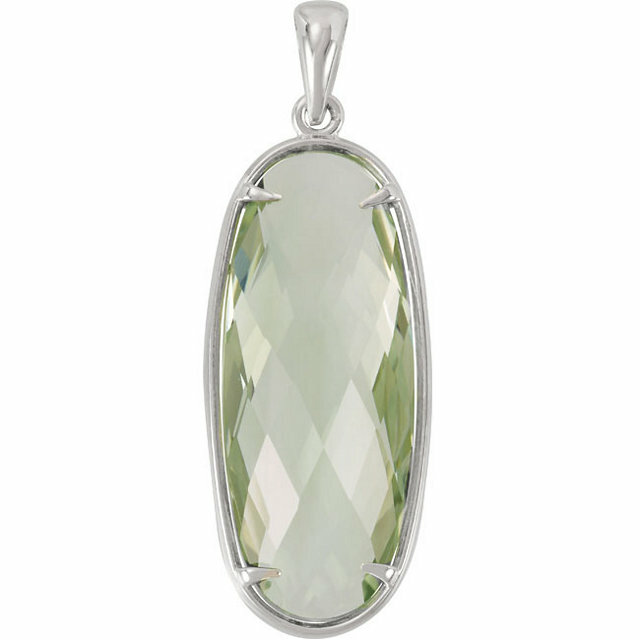 Wistful and softly shimmering, Green Quartz adds its glowing charm to jewelry designs. 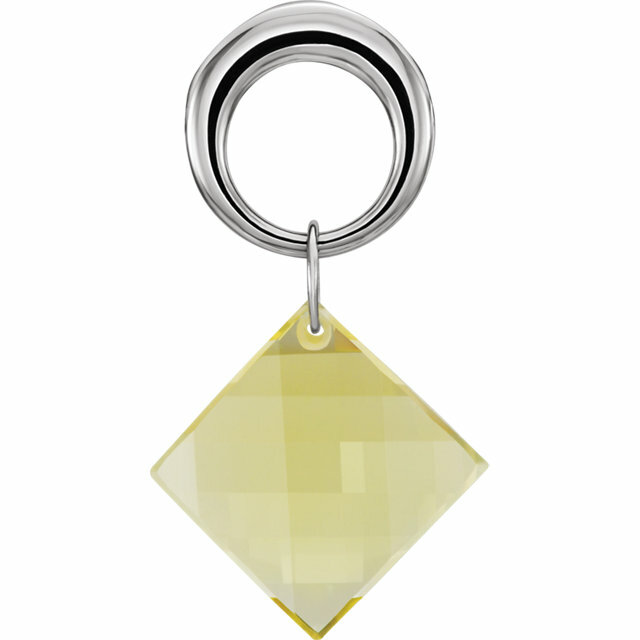 It is perfect for people who adore a gemstone that quietly balances itself between the coolness of blue and the warmth of yellow. 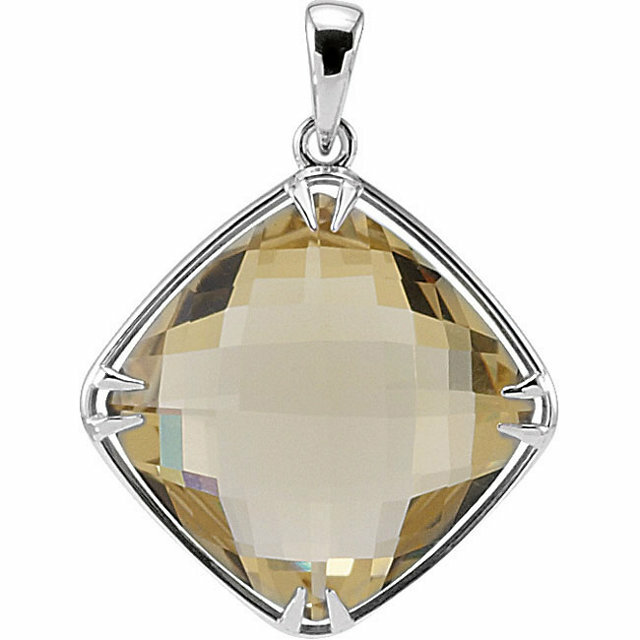 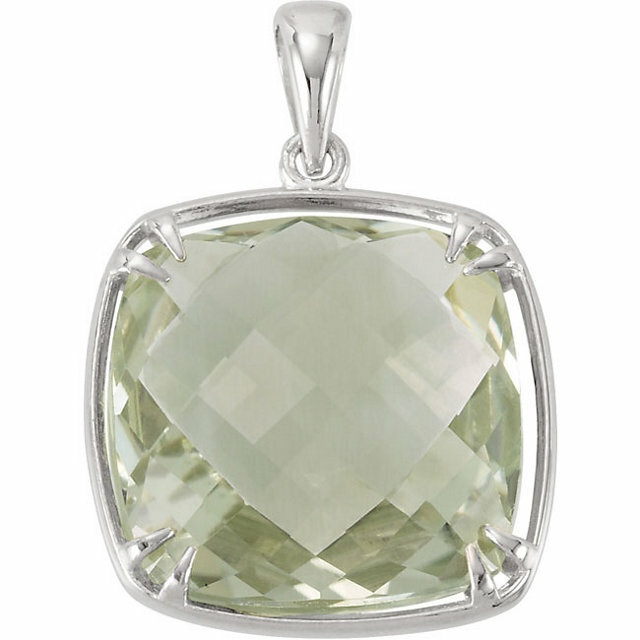 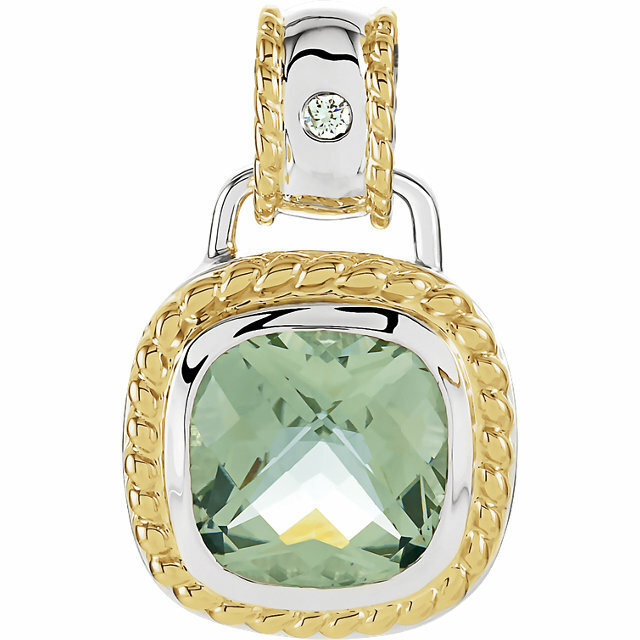 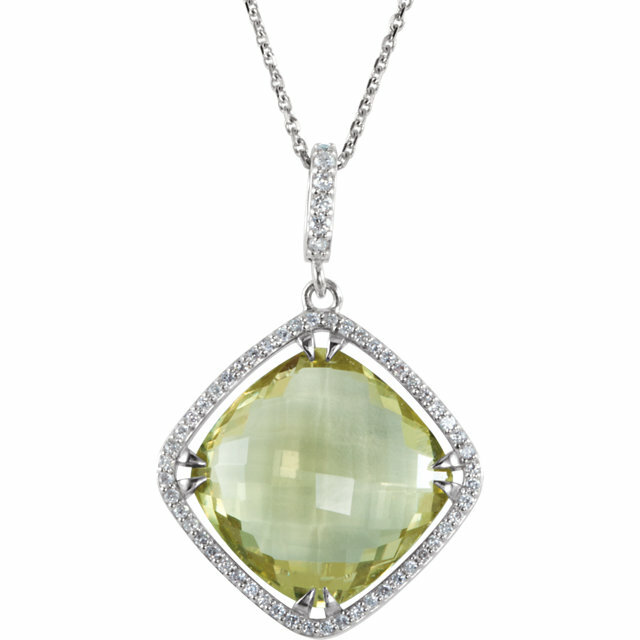 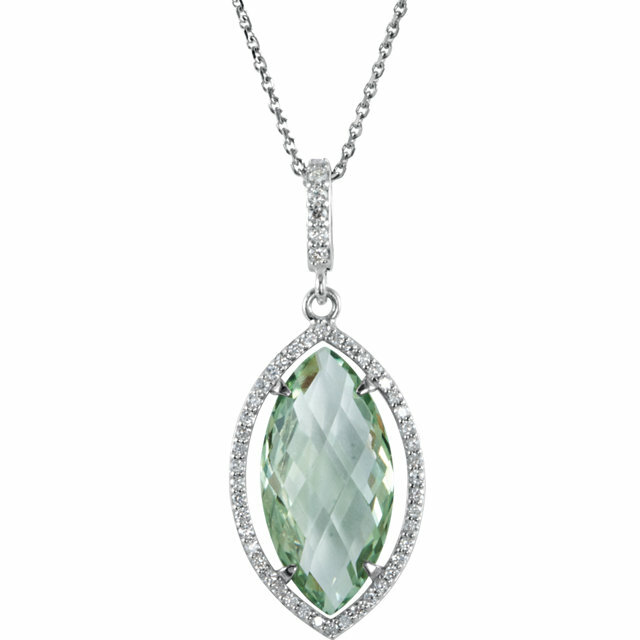 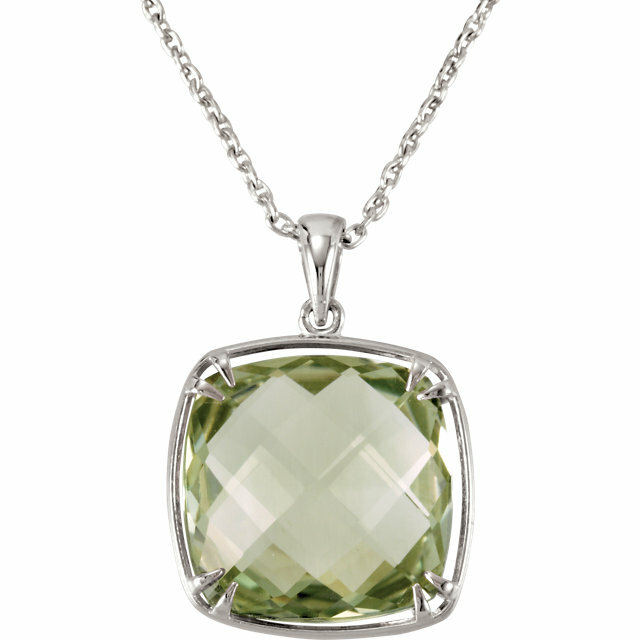 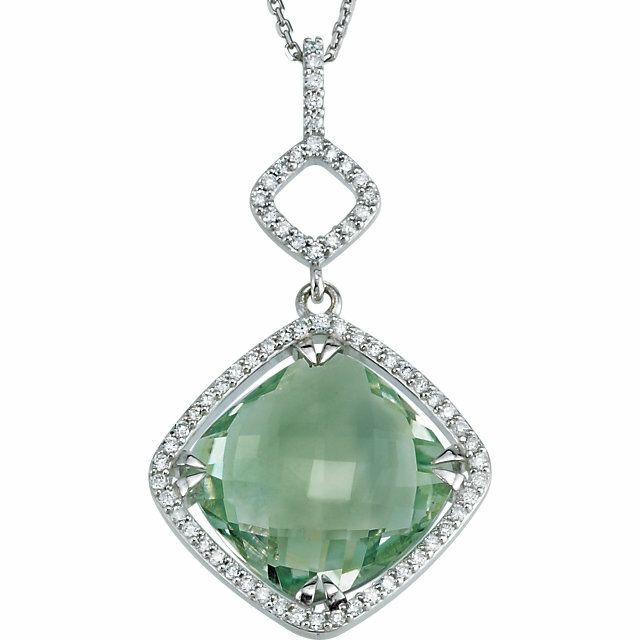 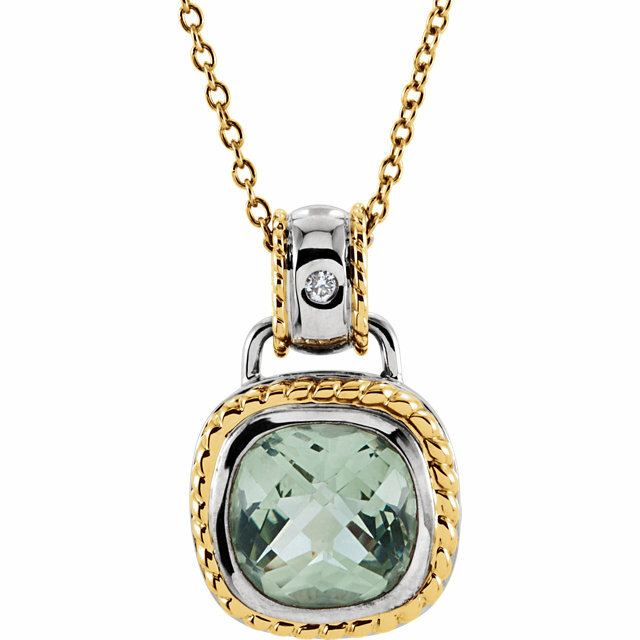 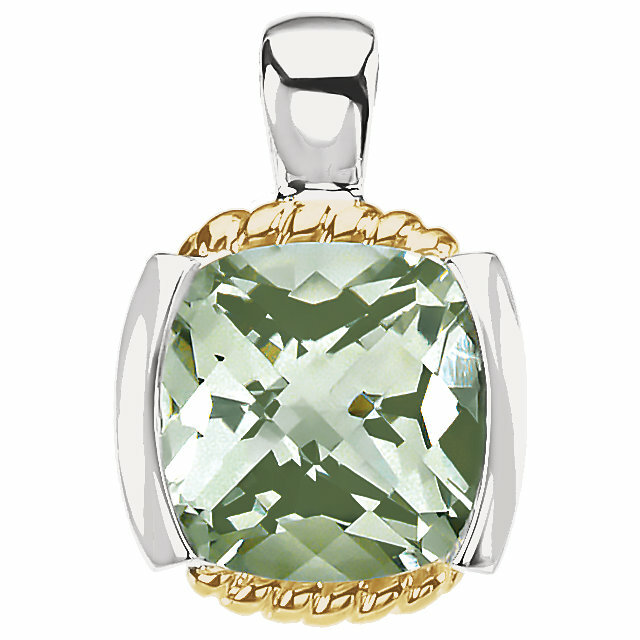 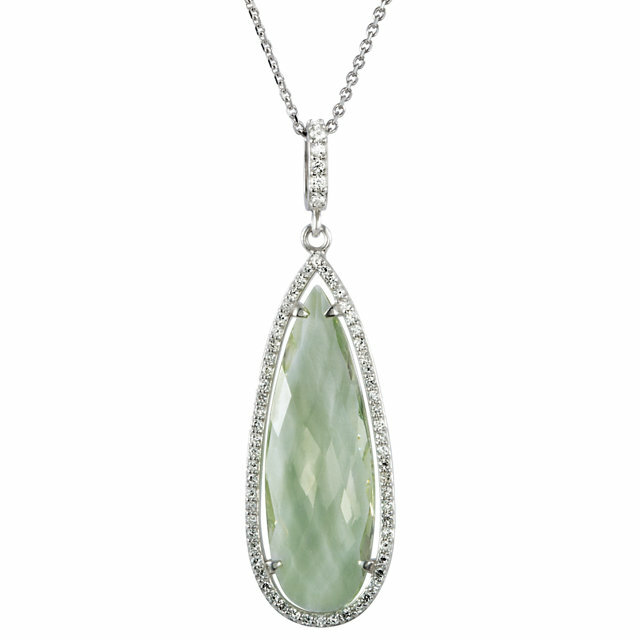 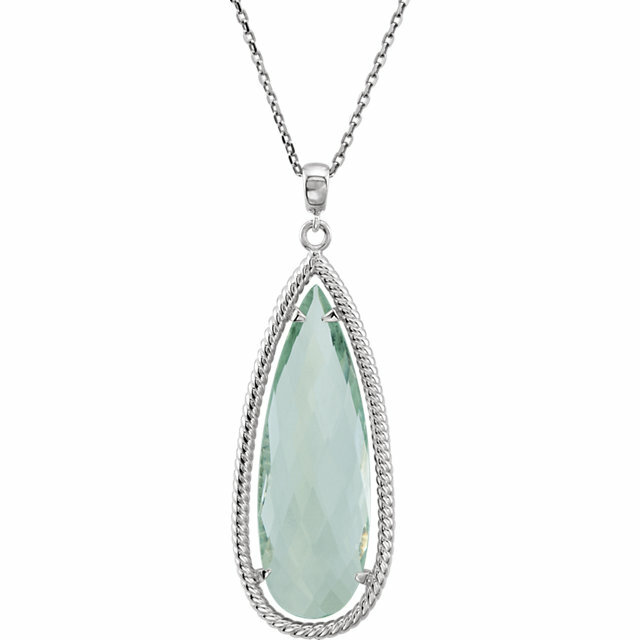 The charm of Green Quartz is a stunning accent to today�s fashions. 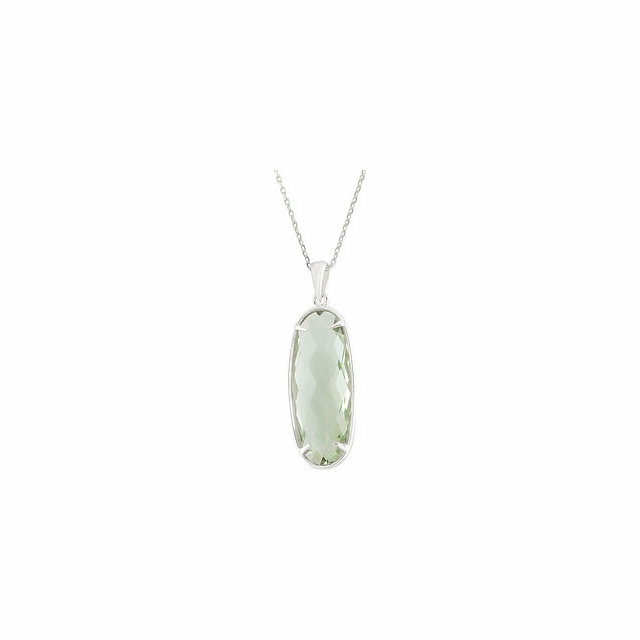 From designs in yellow gold that display elements of nature, to white gold styles reminiscent of the prosperous 1950�s �happy days� era, Green Quartz is a gem whose hue suits a variety of fashion styles. 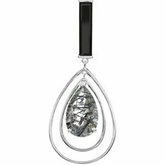 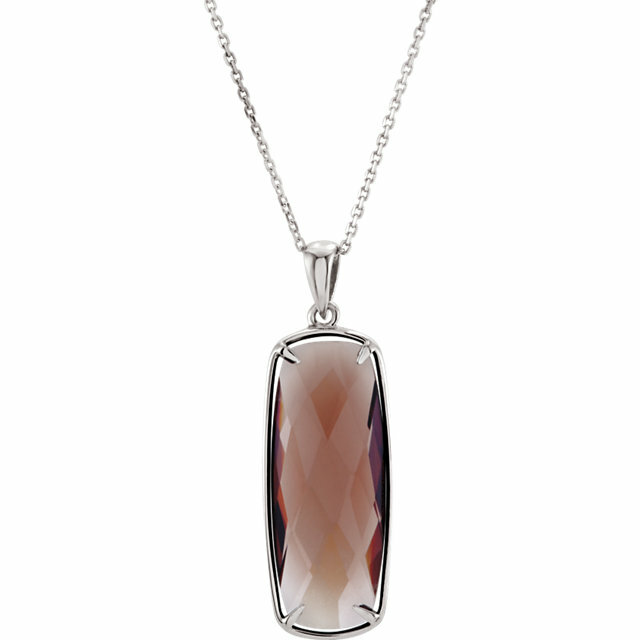 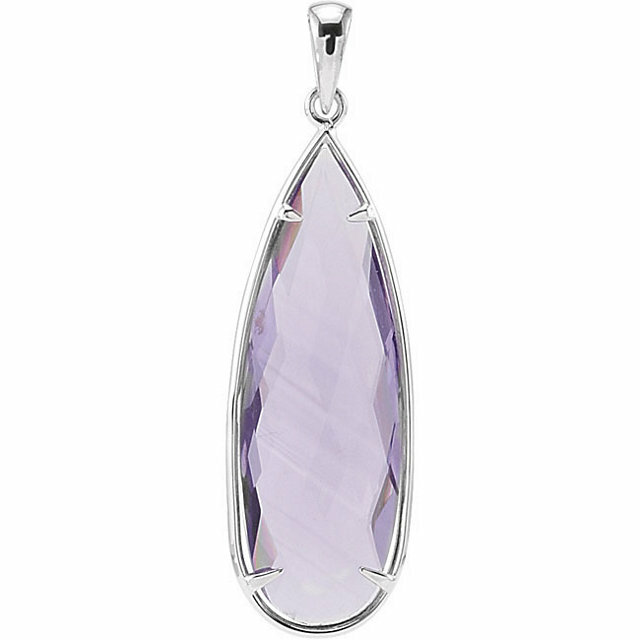 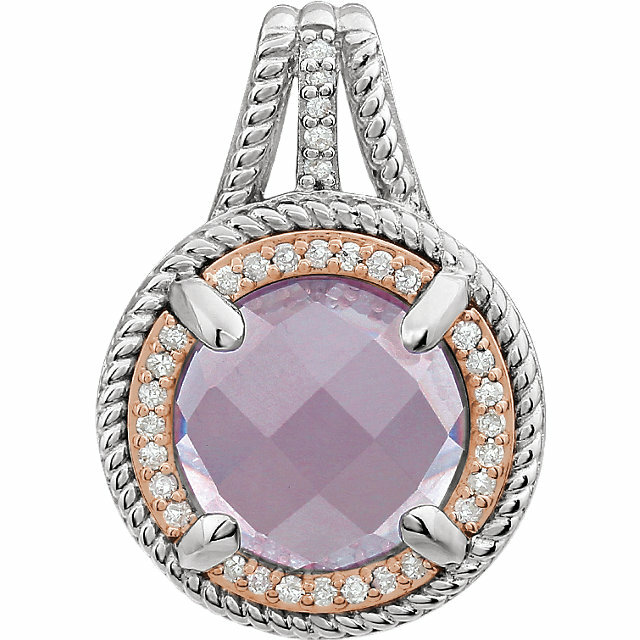 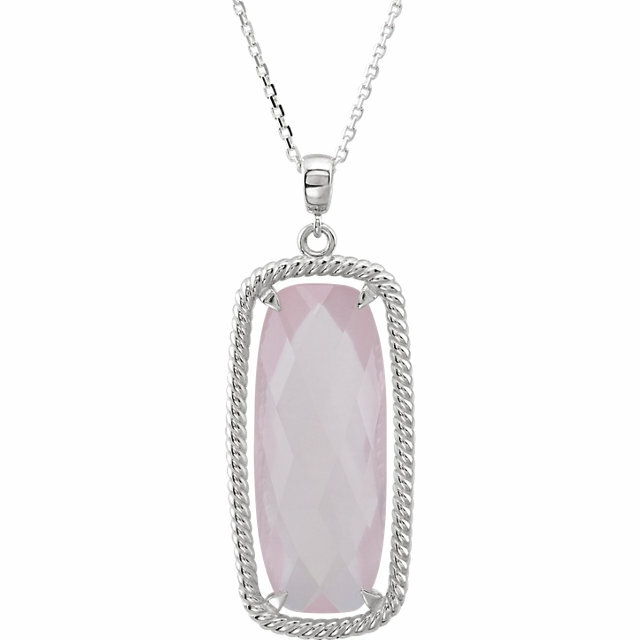 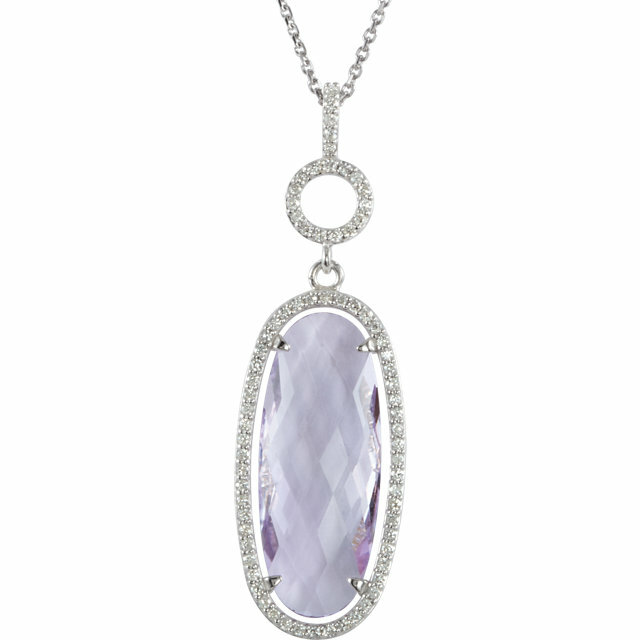 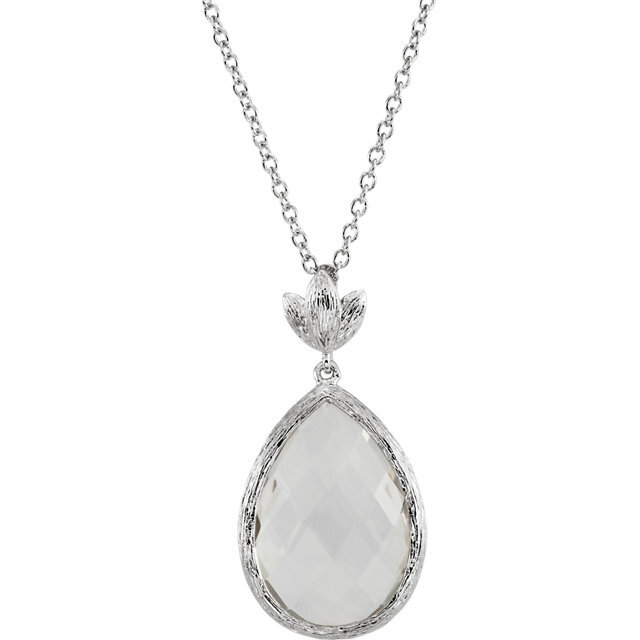 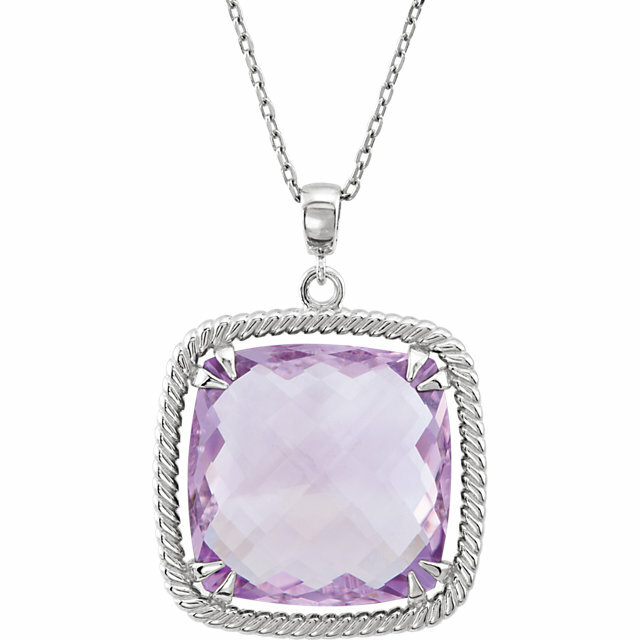 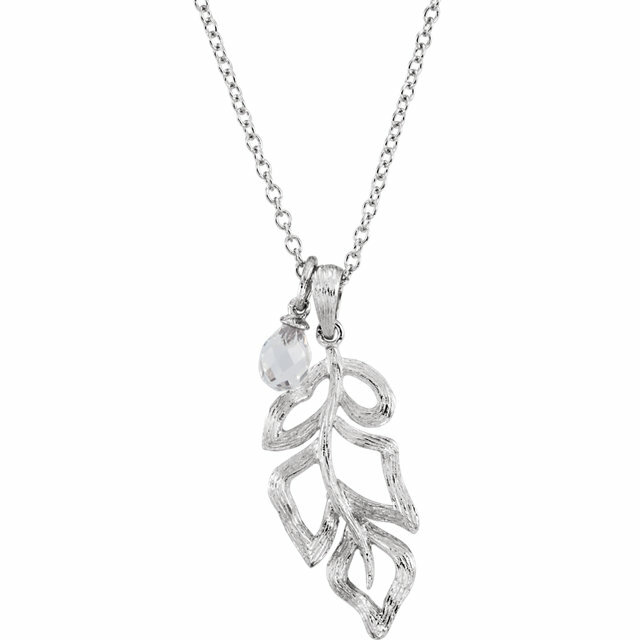 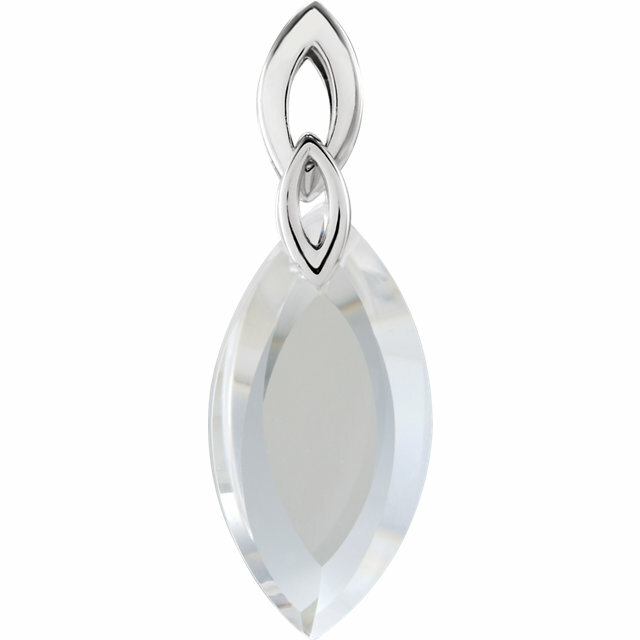 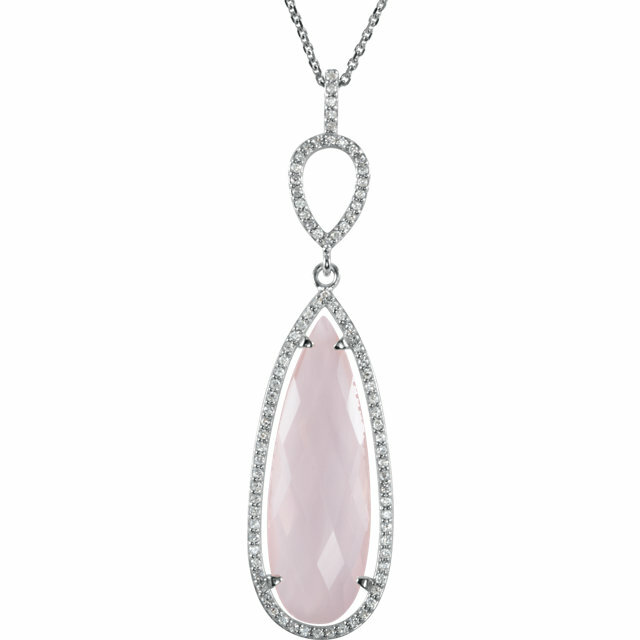 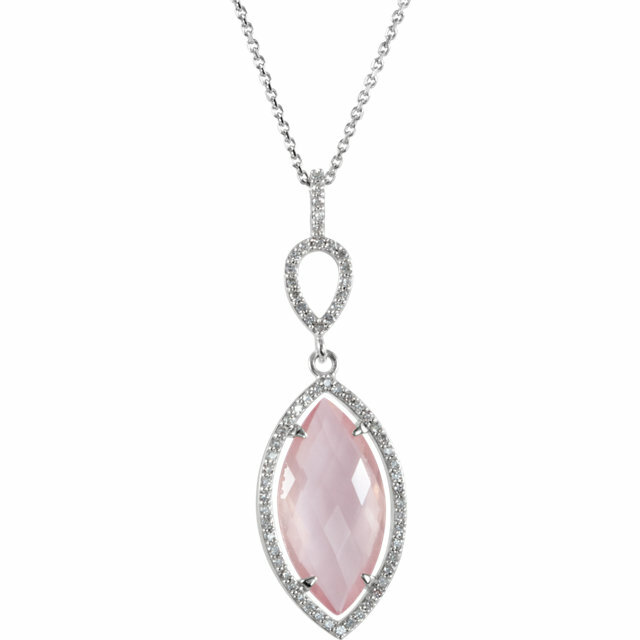 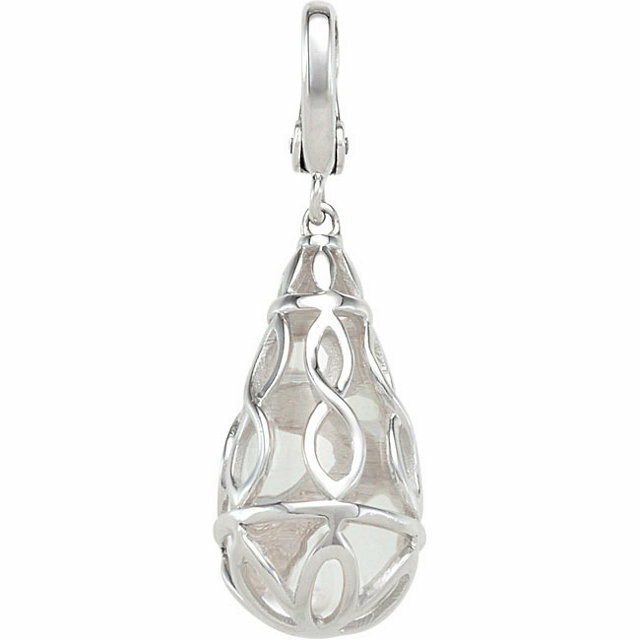 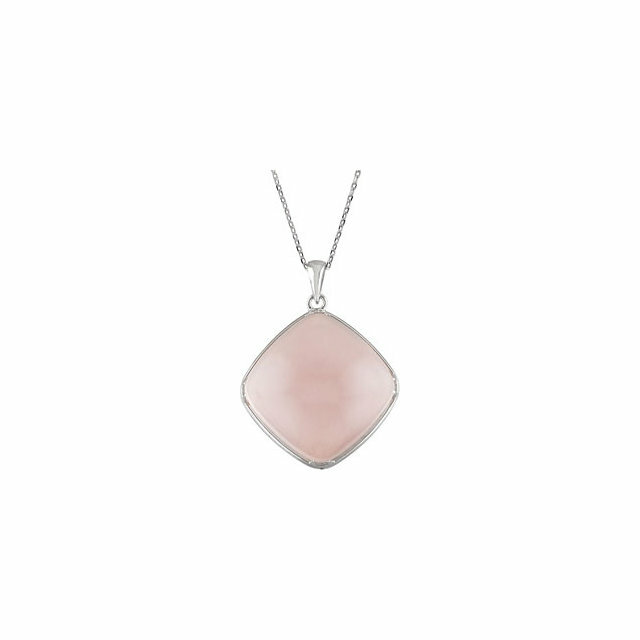 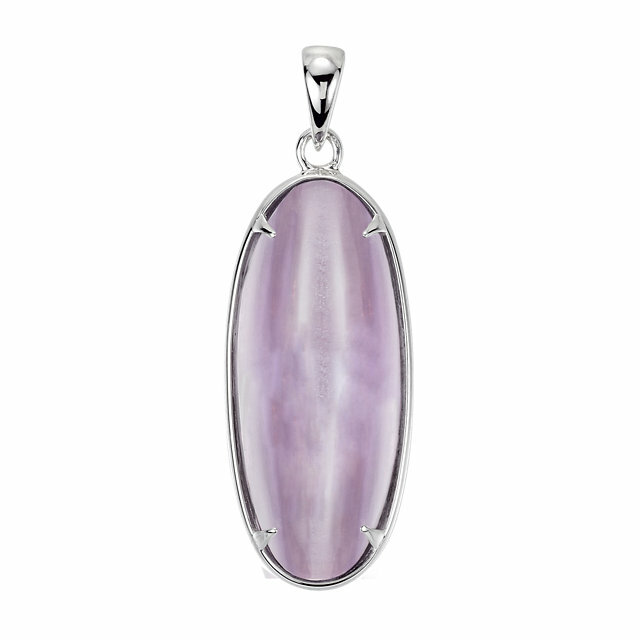 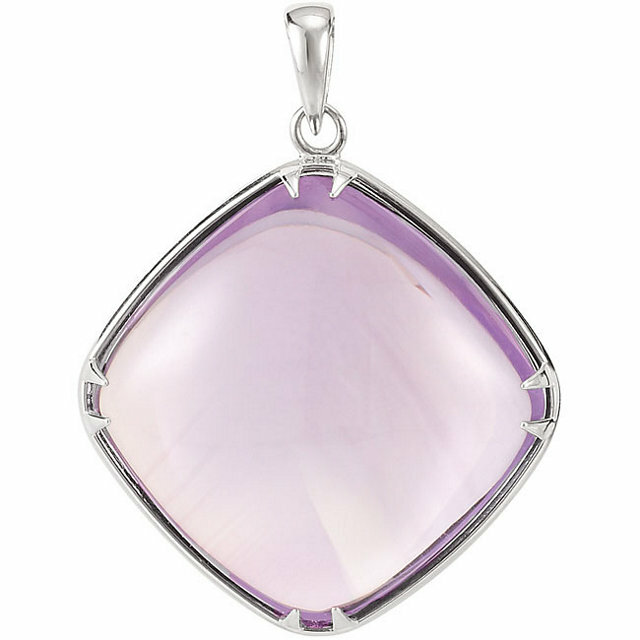 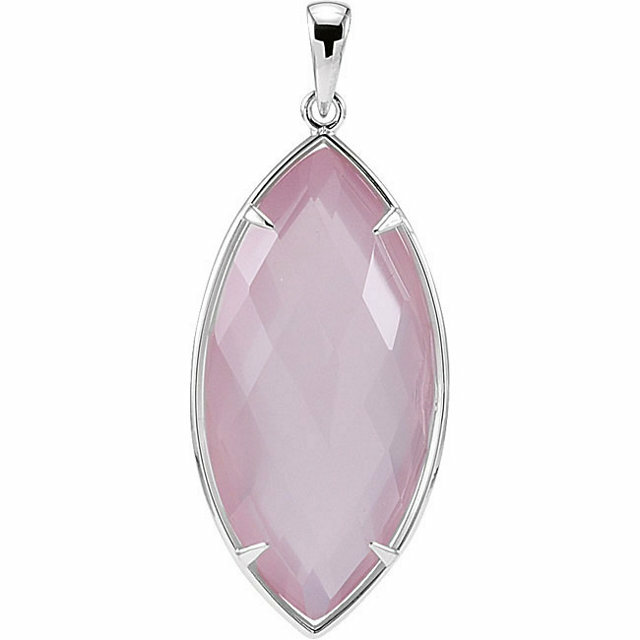 Pick out your favorite Quartz pendant and it can be hanging from your neck in no time. 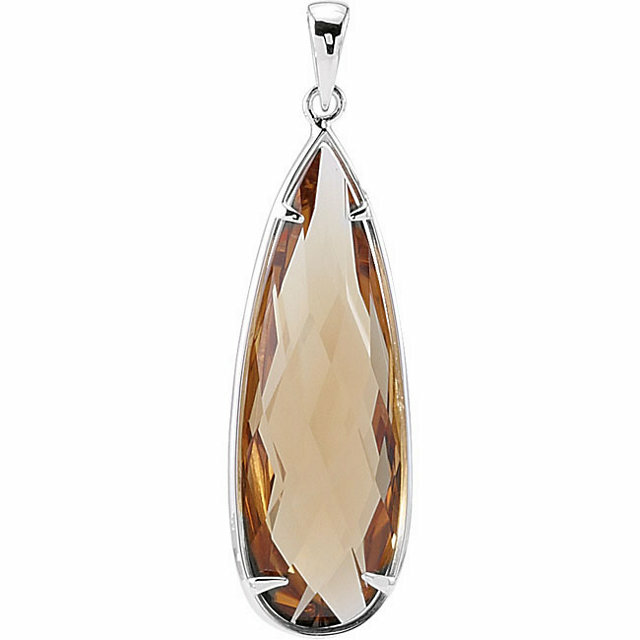 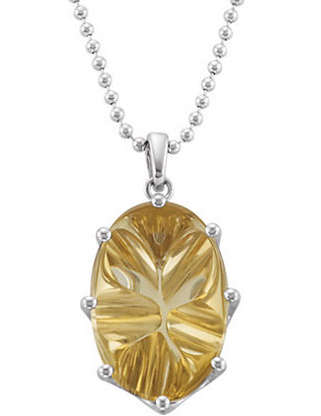 Add some spice and flavor to your life with our savory Honey Quartz and Cinnamon Quartz pendants. 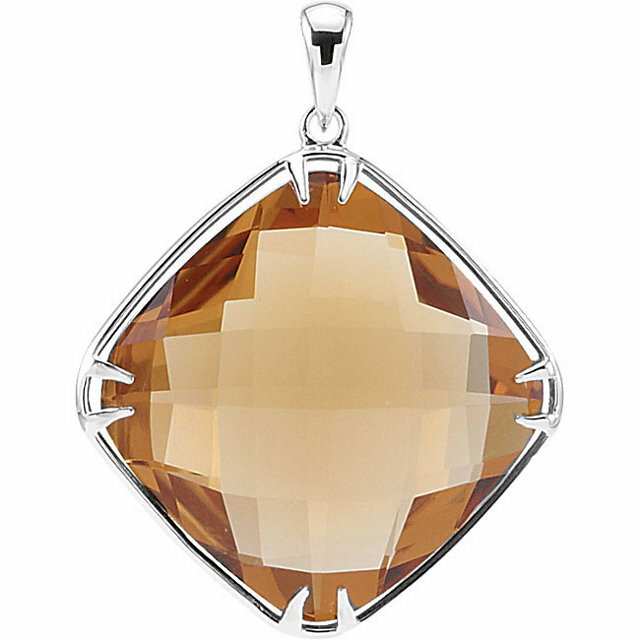 These gorgeous shades of natural Quartz add shimmer to the beautiful golden honey tones or the muted brown cinnamon color. 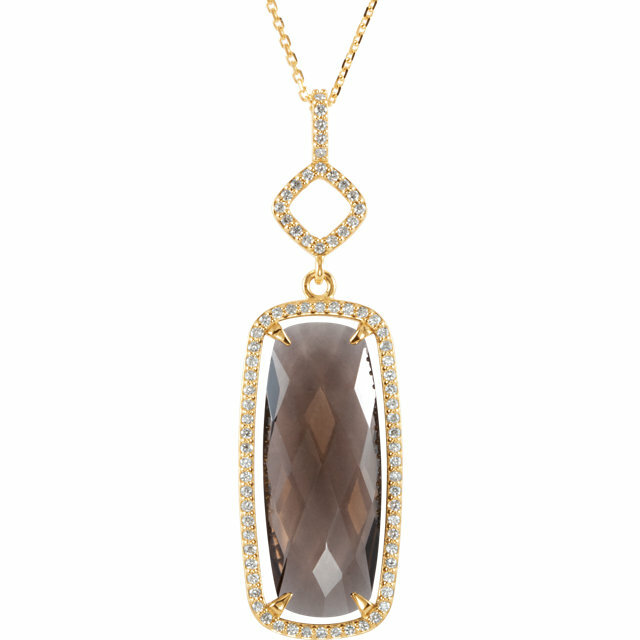 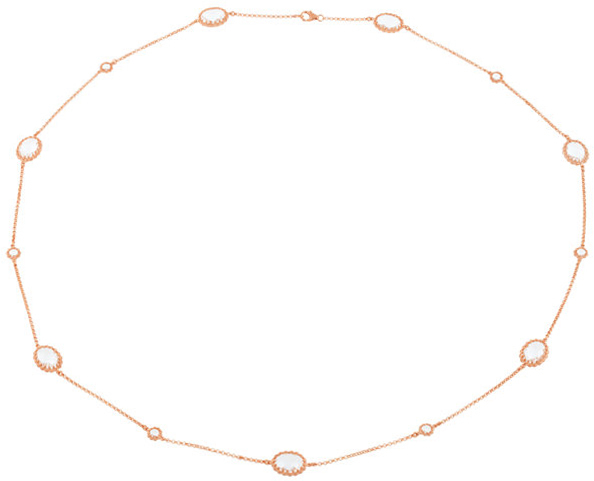 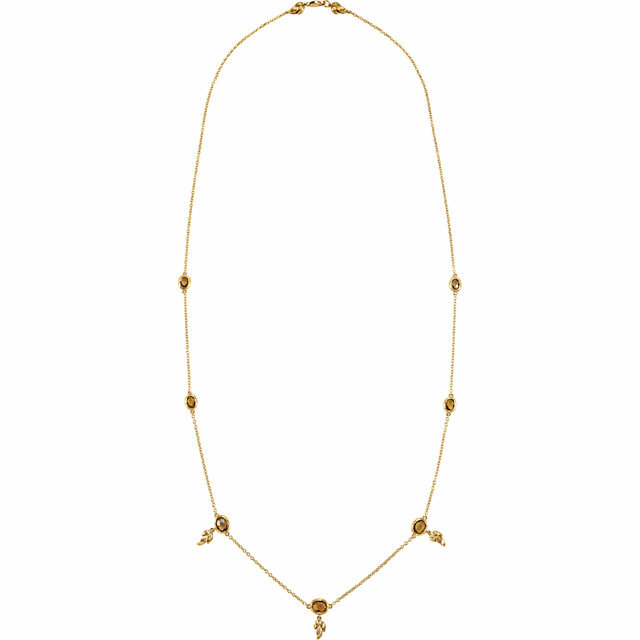 Accented with gold, silver and diamonds, these delightful Quartz gemstones are framed with finely crafted designs. 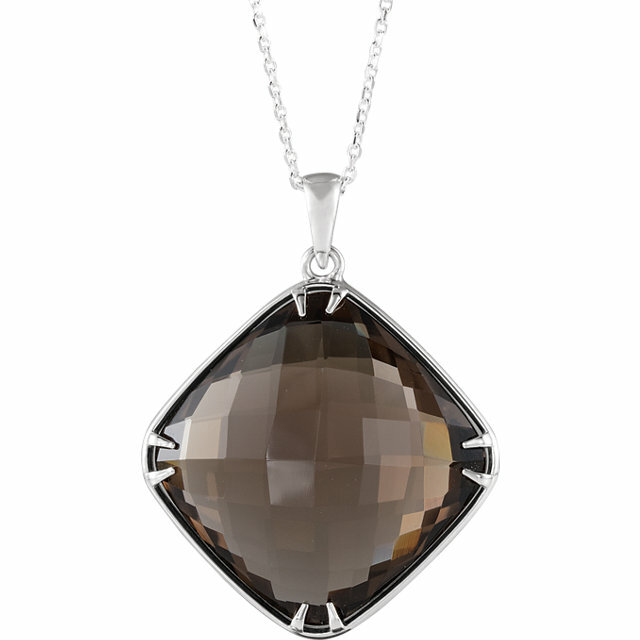 We also offer a unique tourmalinated quartz pendant paired with modern silver rings and onyx. 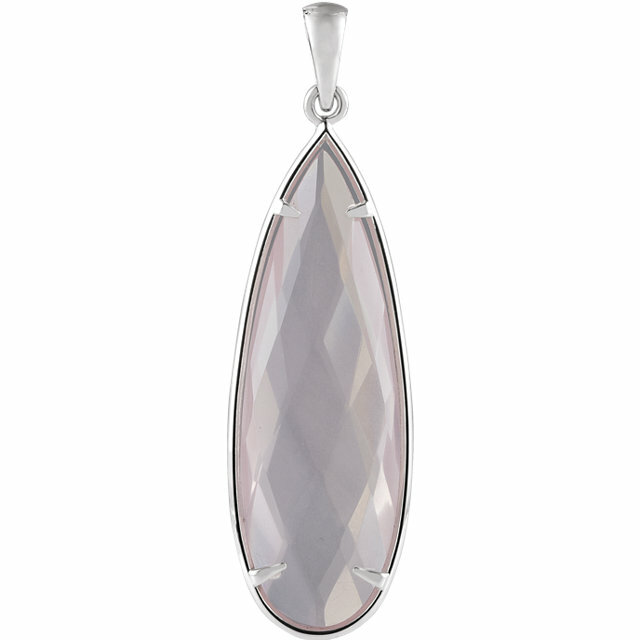 Quartz pendants are great for gifts. 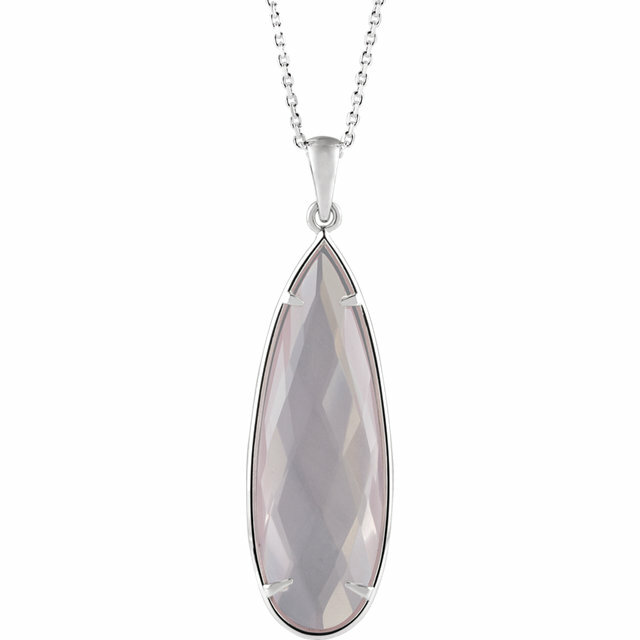 All of our Quartz pendants come with a free chain.